In an interview with the New York Times, Elon Musk claimed he hadn’t been contacted by the Tesla board after his controversial ‘funding secured’ tweet in which he announced Tesla might be going private. The tweet, which hadn’t been discussed beforehand, blindsided the board and Tesla employees. After the Times article was published, Musk clarified that he had been contacted by the board, and had agreed not to tweet about Tesla’s potential privatization without first discussing it with the board. Lately, Elon Musk’s tweets have drawn scrutiny from everyone including the press, Tesla’s board, and the Securities and Exchange Commission. In an interview with the New York Times, the Tesla CEO discussed his now-infamous ‘funding secured’ tweet, in which he announced that he was considering taking Tesla private. The tweet surprised the Tesla board, investors, and everyone in between – Musk said no one had seen the tweet before he posted it. 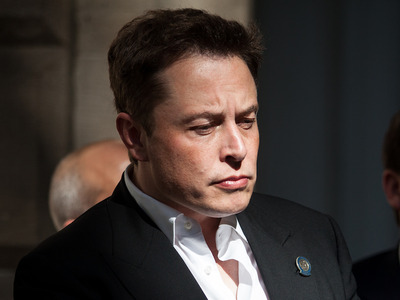 However, after the Times article was published, Musk clarified through a Tesla spokesperson that he had, in fact, been contacted about the tweet by Antonio Gracias, Tesla’s lead independent director, and agreed not to tweet about privatization again without first discussing it with the board. After Musk’s ‘funding secured’ tweet, Tesla’s stock jumped up 11%. But the unusual announcement had caught the eye of the SEC, which soon began an investigation. It wasn’t clear how the alleged funding had been secured, but Musk claims he was talking about a Saudi government investment fund. However, the Saudi fund had not agreed to any funding yet, according to the Times. Tesla and Musk have since been subpoenaed, and they’re said to be meeting with the SEC soon, according to the Times. In the interview, Musk also discussed his long work weeks, his use of Ambien, loneliness, his plans to continue using Twitter, and the mental toll he’s experienced while trying to meet Tesla’s slim production deadlines.